Thank you to Chabad Jewish Center of Wyoming for sending us this information on the State Capitol’s Chanukah Celebration! You can learn more about Wyoming’s Jewish community in our upcoming winter issue of Wyoming Lifestyle Magazine — in the meantime, mark your calendars to attend this important event! 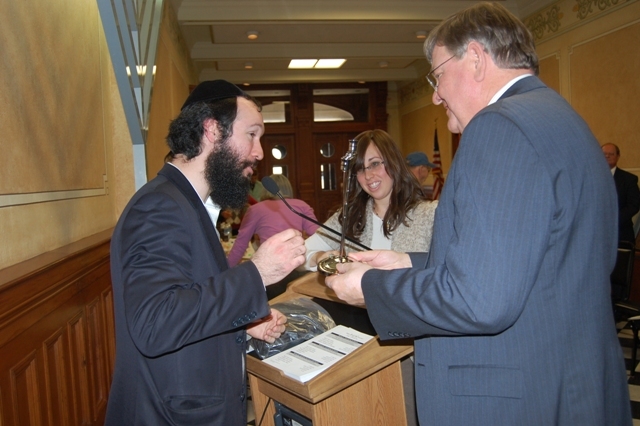 Chabad Jewish Center of Wyoming, based in Jackson but serving Jewish Wyomingites across the State, will ignite a public 10-foot menorah erected at the State Capitol Building, followed by a community-wide celebration on the 7th day of Chanukah, Tuesday, December 27, 2011. The ceremony will feature Chanukah songs from the Montessori School of Cheyenne children’s choir, Menorah kindling with beloved Holocaust survivor siblings Zolly Gancz and Hellen Zigmond and greetings from community leaders and elected officials. Following the menorah lighting ceremony, many will dance, sing and eat delicious Chanukah treats such as potato latkes and jelly doughnuts. The Capitol menorah is one of thousands of large public menorahs sponsored by Chabad throughout the world, helping children and adults of all walks of life discover and enjoy the holiday message. 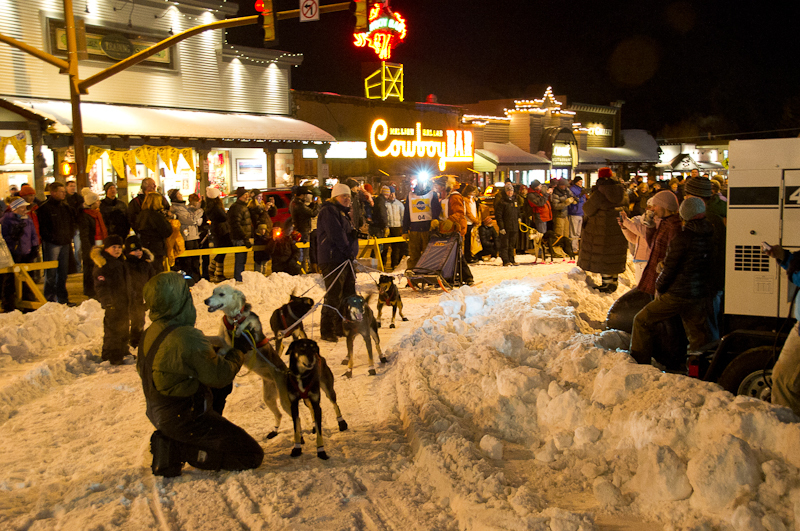 Throughout the State of Wyoming, Chabad will be presenting scores of Chanukah events and celebrations, including public menorah lightings, public menorah displays, joyous Chanukah parties and more. 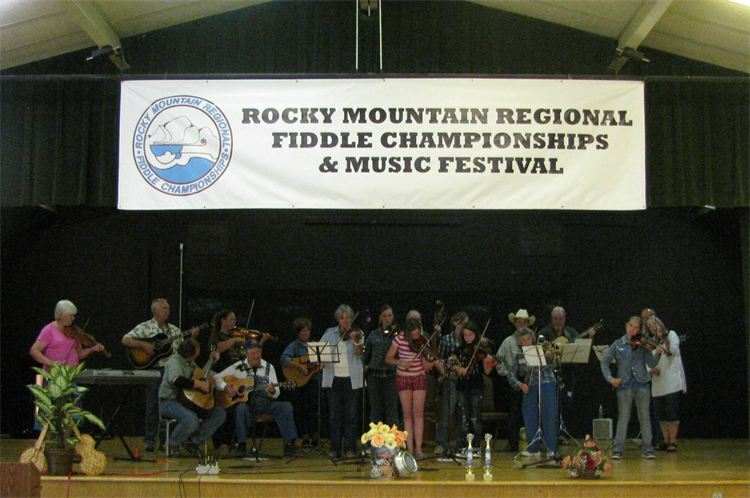 To find a local event in Wyoming or practically anywhere throughout the world, visit www.JewishWyoming/ChanukahEvents. 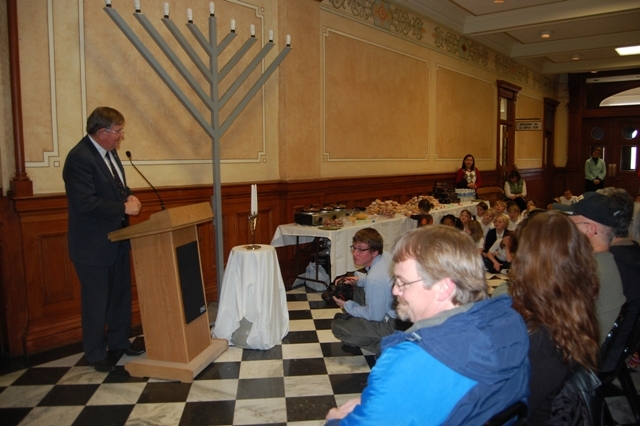 For more information about Chanukah and a local schedule of events, visit JewishWyoming.com/Chanukah. GREAT PHOTO AND VIDEO OPPS!! Tuesday, December 27, 2011; 12:00 p.m. until 1:00 p.m.
Chanukah, the Festival of Lights, recalls the victory – more than 2,200 years ago – of a militarily weak, but spiritually strong, Jewish people over the mighty forces of a ruthless enemy that had overrun the Holy Land and threatened to engulf the land and its people in darkness. The miraculous victory of religious freedom was compounded by a second great miracle that took place when only one jug of sacred oil was found still pure and sealed. The Maccabees poured the one-day supply of oil into the great Menorah and rekindled the Menorah that had been desecrated and extinguished by the enemy. The small amount of oil did not burn out at the end of the first day, but continued to burn continuously for eight days, until the special process for preparing new oil could be completed. Lighting the Chanukah Menorah reminds us of these events and also serves as a universal symbol and a cosmopolitan message of triumph of freedom over oppression, of spirit over matter, of right over might, of light over darkness. This crucial message is at the heart of every Wyomingites’ and every Americans’ hope for better days ahead. Set oven racks at middle and lower positions of the oven. Preheat oven to 450° F. Prepare 2 baking sheets by brushing with 1 teaspoon oil on each sheet. Grate potatoes using hand grater or shredding blade of food processor. Place in a large bowl and add onions, flour, salt and pepper; toss to mix well. Add egg, egg white and remaining 1 teaspoon oil; toss to mix. Drop onto prepared cookie sheets by the tablespoonful and press lightly to form cakes. Bake for 10 minutes, or until golden brown on the bottom. Flip latkes, switch position of baking sheets, and bake about 5 more minutes, or until golden brown. Transfer to a platter, arranging browned-side up, and serve with no-fat sour cream or applesauce, or both. May be made ahead and stored overnight in fridge. Reheat at 350° F for 10 minutes. Makes about 24 latkes. Tip: Use the grater attachment of a food processor to simultaneously grate both the potatoes and the onion. Set the shredded material in a colander over a bowl to catch the dripping liquid. When the grated potato-onion mixture stops squishing combine with the egg, egg white and remaining teaspoon of oil as above. Carefully pour out the liquid collected from under the grated potatoes and onions, taking care to save the white cake which has formed at the bottom of the bowl (the potato starch). Add this white stuff to the latke mixture and mix well. Complete the above recipe as written. At WLM, we strive to appreciate all walks of life, and are proud of our history as The Equality State. Thank you to the Wyoming state government for recognizing this important event! 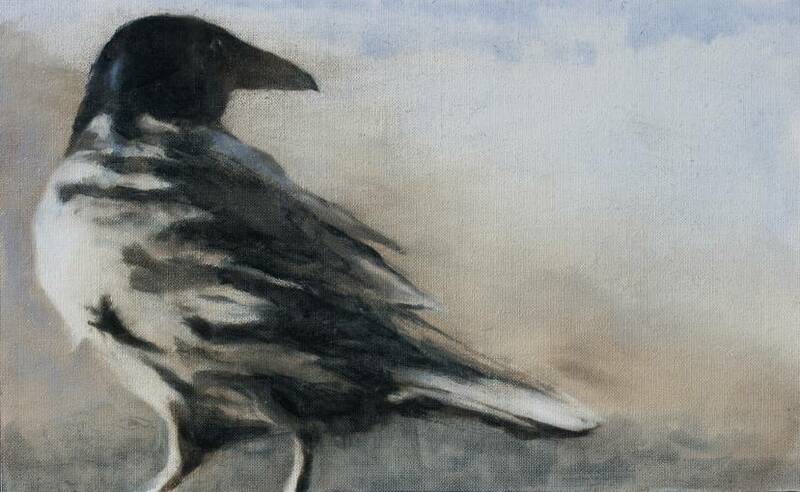 Jackson, WY – Just in time for the holidays,Trio Fine Art will be hosting a show inspired by our fine feathered friends. 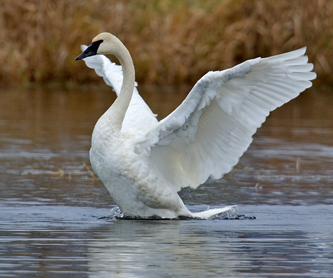 Entitled “Flight,” the show came about as a result of all four gallery artists’ affinity for birds. The title reflects not only the subject of the exhibition but the artistic aspirations of the participants: Jennifer L. Hoffman, Lee Carlman Riddell, Kathryn Mapes Turner, and September Vhay. The gallery will partner with the TetonRaptorCenter(www.tetonraptorcenter.org) for the exhibit; a percentage of all the sales from the exhibition will be donated to the center, and Roger Smith will be on hand at the reception to talk about the RaptorCenter’s activities. One of the center’s resident birds will also be in attendance. The show will open on December 8 with a reception from 5-8 PMand will hang through December 31. Lee Carlman Riddell: Lee Carlman Riddell’s love of birds came from her parents … her Dad planted the flowers that attracted the birds to their yard, and her Mom taught her to recognize the bird’s songs. 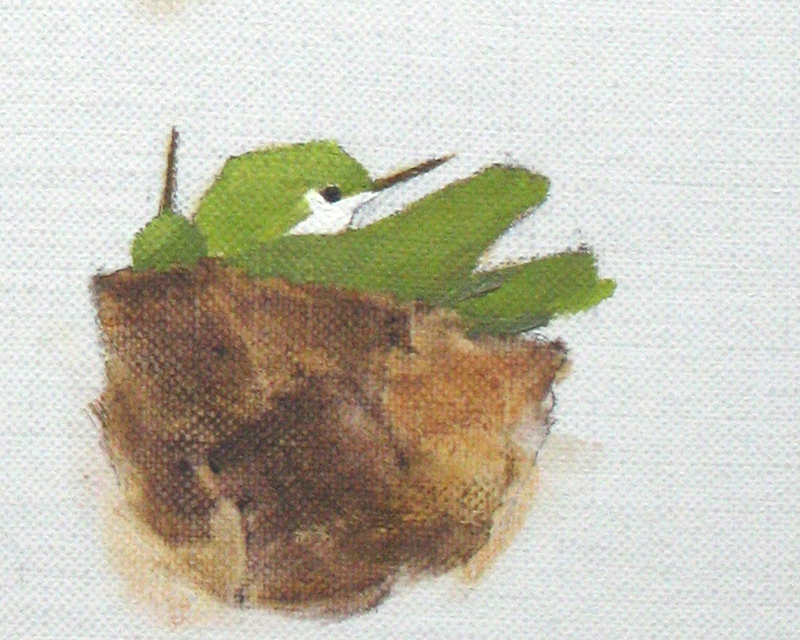 Recently a Calliope hummingbird nested outside Lee’s studio window and she was able to draw and paint the mother and two chicks as they grew up. She is forever grateful for this time spent with the hummingbird family. 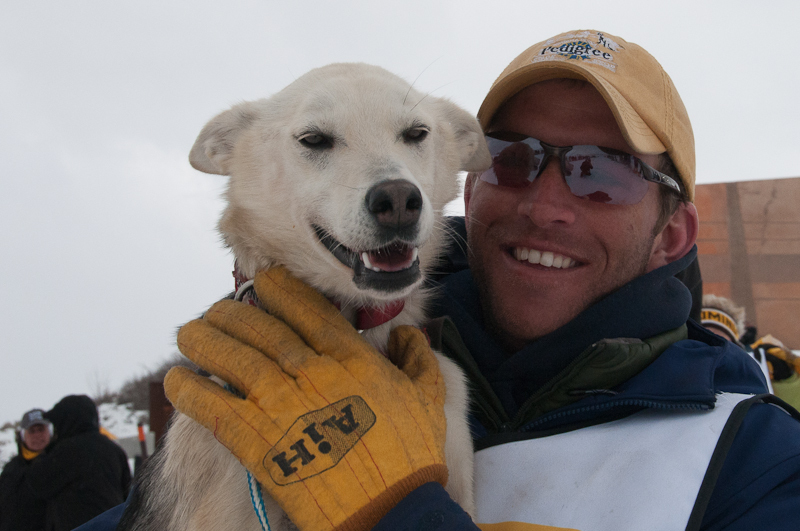 Lee is a long-time supporter of theTetonRaptorCenter. Years ago, when Roger Smith and Margaret Creel cared for injured raptors in their back yard, Lee and her husband Ed would make a contribution so they could buy frozen mice for the birds’ dinners. She is proud of Roger and Margaret and all those who helped make the official home for injured raptors a reality. Trio Fine Art is located at 545 N Cache St., across the street from the visitors’ center. The gallery is open Thursday – Saturday from 12-6 during the run of the exhibition. For additional information, please visit www.triofineart.com and the artists’ individual websites: www.jlhoffmanfineart.com, www.leeriddell.com, www.turnerfineart.com, and www.vhay.com. Each artist reception is FREE and open to the public. Expanding on the creative momentum of recent years, Trio Fine Art proudly presents an exciting line-up of summer exhibitions. Widely celebrated, the Gallery artists put together annual shows that continue to exceed the quality and expressive nature of the last. This commitment to artistic excellence in has gained the gallery its reputation as a ‘must see’ among Jackson galleries. Trio Fine Art is an artist-owned and operated gallery that supports the creative success of each of the four members through a unified effort, to enthusiastically share this fine art with the community, and to foster relationships with supporters. “Our studio has everything to do with the benefit of collaboration and teamwork. Being an artist can be a very solitary thing, but we help each other out with all that it takes to be an artist and run a business,” says Kathryn Mapes Turner. 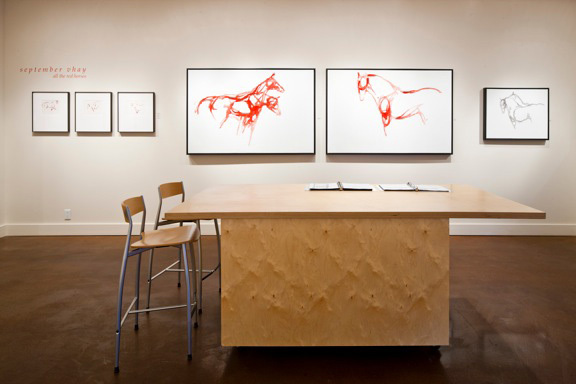 All four of the exhibiting artists work to operate and host hours at the gallery. A community has grown up around the gallery that consists of collectors, friends, fellow artists who come to exchange ideas, as well as plenty of dog visitors, and inquisitive children. 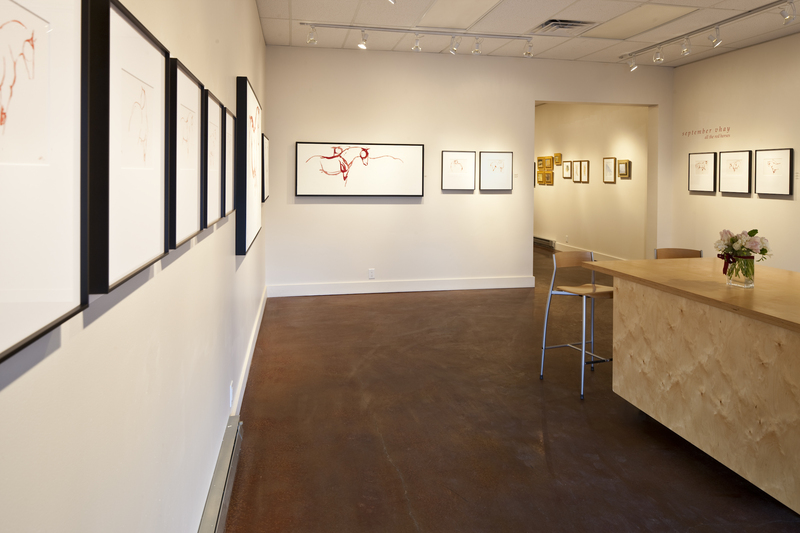 Since it opened its doors in 2005, Trio has gained a celebrated reputation as one of the freshest, vibrant galleries in Jackson where collectors can not only find top quality original art, but also meet the artists that created it. In 2008 Fine Art Connoisseur magazine highlighted Trio among Jackson’s contemporary galleries. Each of the partners at Trio has distinguished herself prominently in the art world. In fact, all of them participate in the National Museum of Wildlife Art’s prestigious Western Visions show. They also actively participate in the artistic community by teaching workshops and classes and mentoring young artists. “We learn from and influence each other, and it is exciting to see creative growth in each person over the years,” says Lee Carlman Riddell. 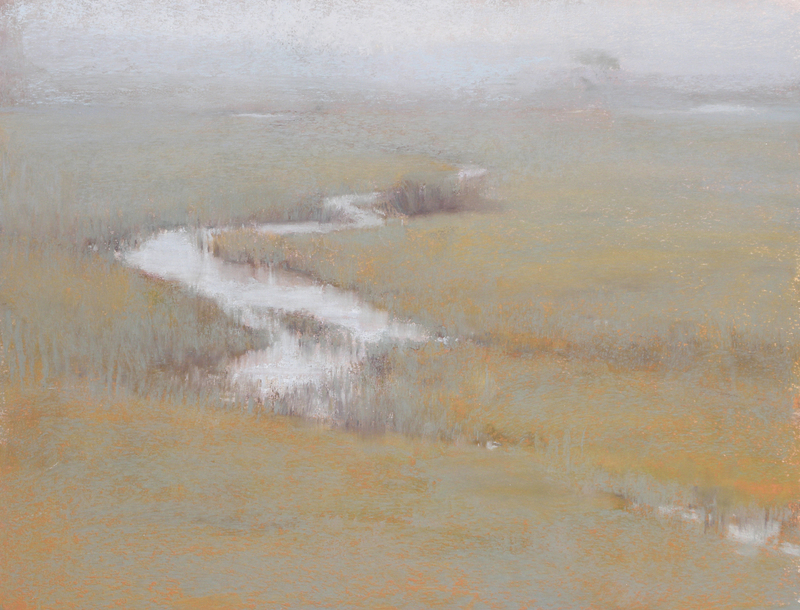 The newest partner to Trio Fine Art, Jennifer is best known for her pastel landscapes. Also working in oil, graphite, charcoal, and other mediums, she began making art as a very young child in central Pennsylvania. However, she didn’t pursue it seriously until her college years, when she earned a B.F.A. in printmaking and painting. 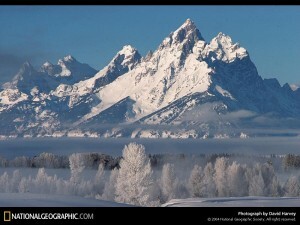 She moved to Jackson Hole 15 years ago to experiment with painting landscapes and never left. Hoffman’s work has been included in national and international juried exhibitions including the Oil Painters of America national and western regional exhibitions, Masters in Miniature and The Russell at the CM Russell Museum, and Reflections in Pastel in Little Rock, AR. 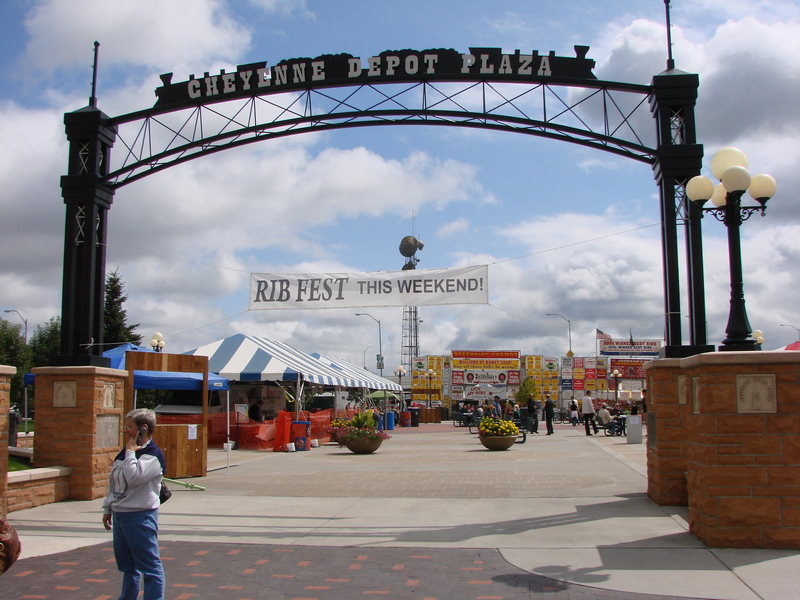 Awards include Best in Show at the International Autumn Arts Painting Challenge in 2009, an Award of Excellence at the 2010 Rocky Mountain Plein Air Painters’ National Exhibition, and 3rd Place in Landscape in the 9th Annual Pastel 100, among others. 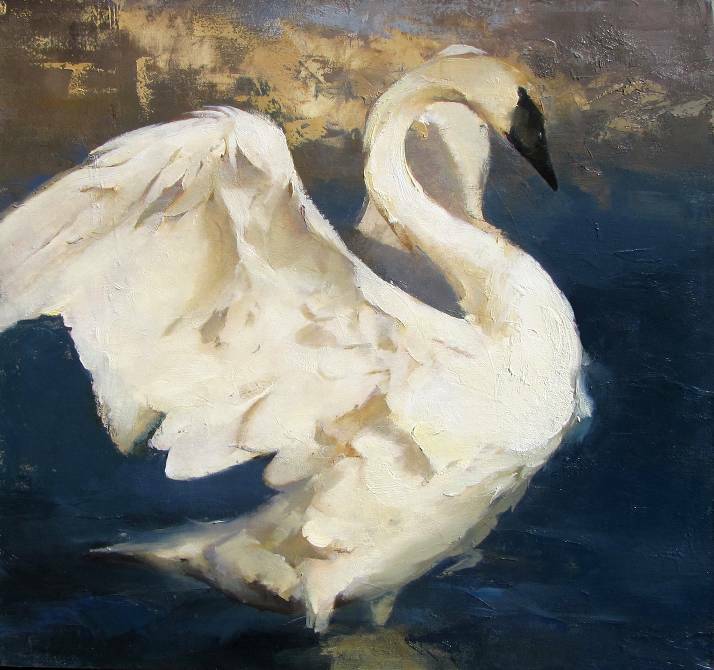 A signature member of the Pastel Society of America, she also holds memberships in the Oil Painters of America and the Rocky Mountain Plein Air Painters. She was featured as an artist to watch in the May/June 2010 issue of Fine Art Connoisseur. This Jackson Hole native is now a nationally-recognized, award-winning artist. She was recognized by Southwest Art Magazine as one of the ’21 under 31’ young artists with promising careers. Turner was the featured artist for Jackson’s Old West Days and recognized as Wyoming’s Best Watercolorist by the Wyoming Watercolor Society in 2001. 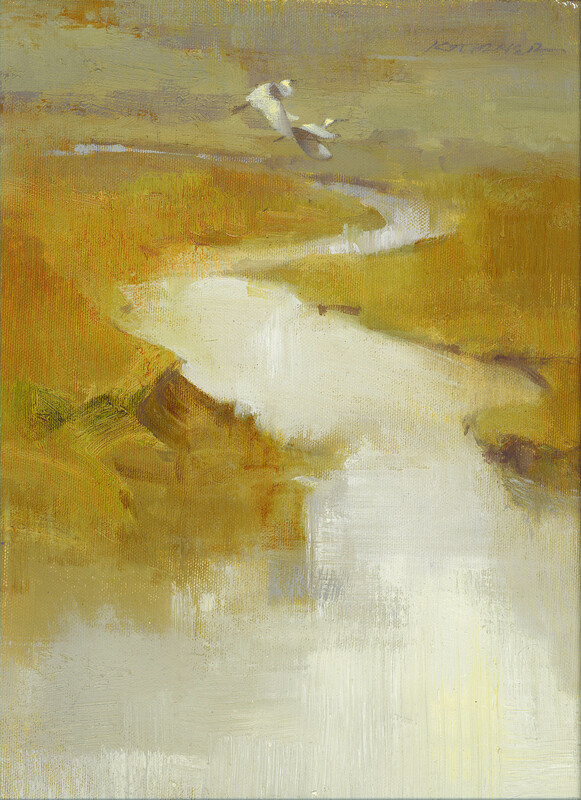 Her work has been included in the prestigious “Western Visions Miniature Show” at the National Museum of Wildlife Art, “Birds in Art®” at the Leigh Yawkey Woodson Museum, and the CM Russell Museum’s “Masters in Miniature.” In 2010, Turner won the Contemporary Art Award at the American Academy of Equine Art, and an award of excellence at the American Impressionist Society show and winner of the Air Float award at the Paint America national contest. 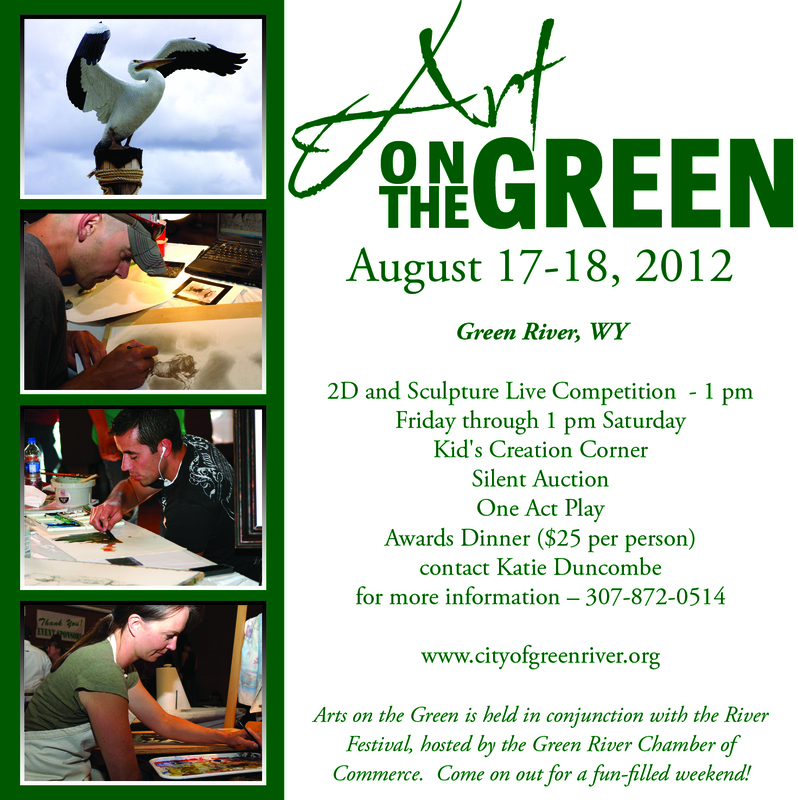 She is a member of the National Watercolor Association and the Rocky Mountain Plein Air Painters Association. 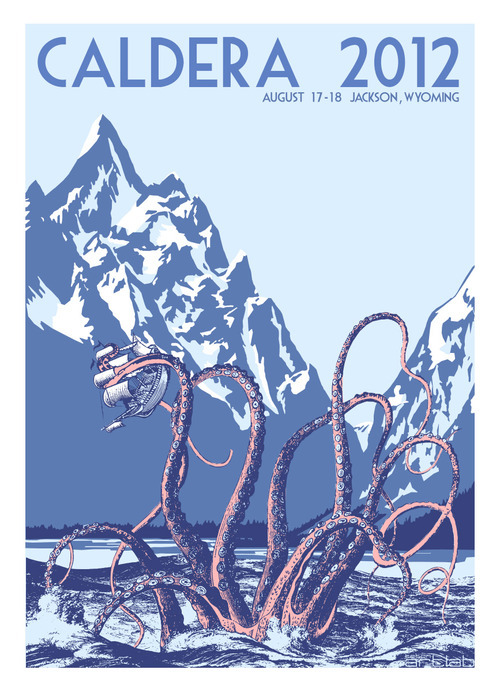 Jackson Hole artist September Vhay is an impressive emerging talent in animal art. She has recently been chosen by Southwest Art to be in the ‘21 over 31 artists with careers to watch’ and also won the 2010 Trustee’s Purchase Award at the National Museum of Wildlife Art’s Western Visions Show. 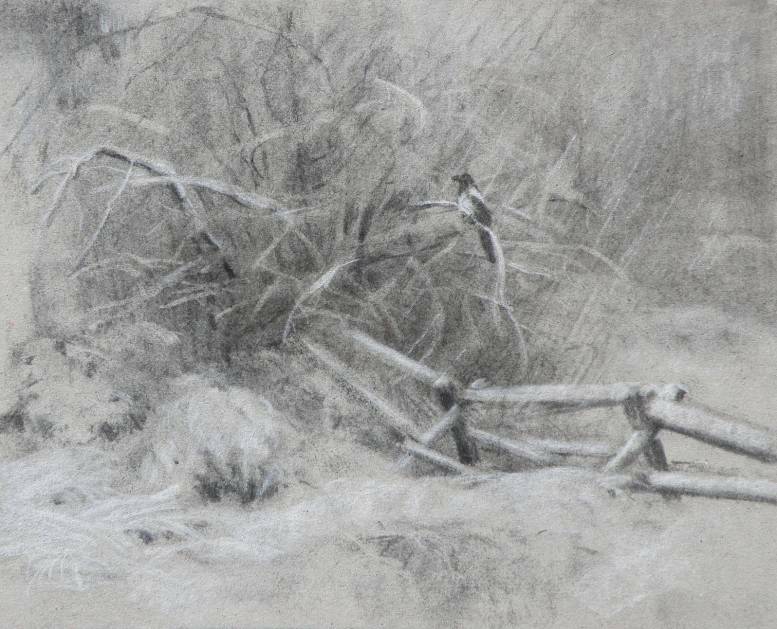 Her work has been included in prestigious national shows such as ‘Birds in Art®’, the American Academy of Equine Art, the Cowgirl Hall of Fame, and the American Watercolor Society. 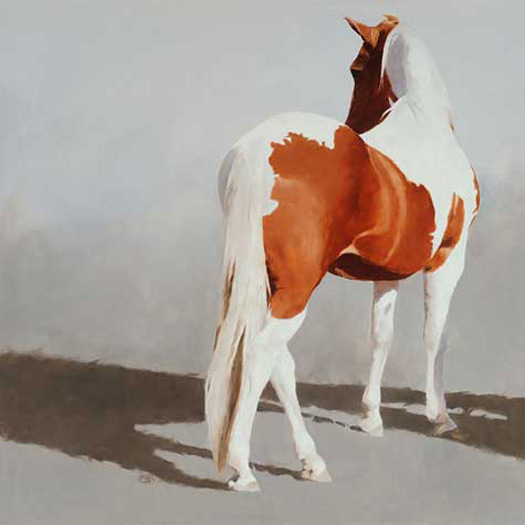 She won the ‘Fine Print Imaging Award’ in the 2008-09 Ex Arte Equinus International Equine Art Competition, and placed fourth in that competition’s painting category. Recently she has been added to the fine list of artists who are represented by one of the country’s finest galleries, Gerald Peters Fine Art in Santa Fe, New Mexico. 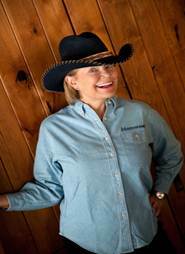 Author Friess, a grandmother of 10 and avid art collector, wrote the award-winning Western Lullaby as a bedtime story focusing on the nocturnal sights and sounds of the West, combining the dreamy tale of a little cowgirl’s nighttime surroundings with vivid illustrations by Gibson of the Western outdoors. 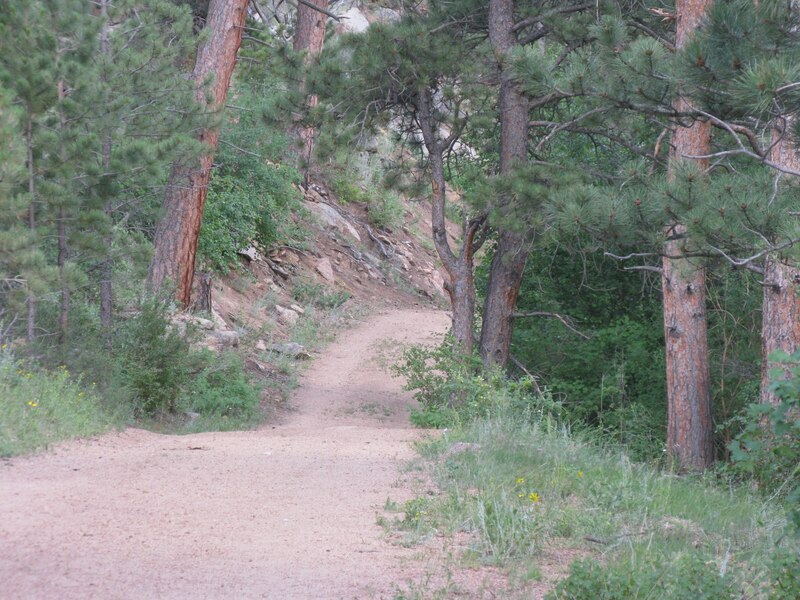 An audio CD of the lullaby that inspired the book is included, performed by Wyoming singer-songwriter Marilee Gordon. This year’s “IPPY” Awards presented gold, silver and bronze medals to winners in 69 national categories as well as regional awards and 12 Outstanding Books of the Year. Western Lullaby tied for the gold in its category with Henry! You’re Late Again! by Mary Evanson Bleckwehl, illustrated by Brian Barber (Beaver’s Pond Press). According to Independent Publisher, the 346 medal-winning books for 2011 came from a pool of 3,907 total entries, representing 45 U.S. states plus the District of Columbia, seven Canadian provinces, and seven countries overseas. A full listing of the 2011 “IPPY” Award winners is available here on the Independent Publisher website. 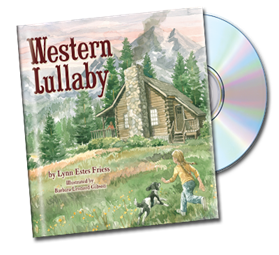 Western Lullaby was the first picture book written by Friess, a close friend and supporter of the Jackson Hole-based National Museum of Wildlife Art. In September 2010, Friess published her second picture book, Jackson Hole’s Carl Discovers Wildlife Art, illustrated by John Potter, and written as an engaging way to introduce children to wildlife art and the museum. The Carl title is the first in a planned series, and proceeds from the book help sponsor programs, exhibits and operating support for the museum. The search for Walker Pannell Kuhl, age 27, of Salt Lake City, Utah and Gregory Seftick, age 31, of Columbia Falls, Montana resumed today, Saturday, April 23 in Grand Teton National Park. 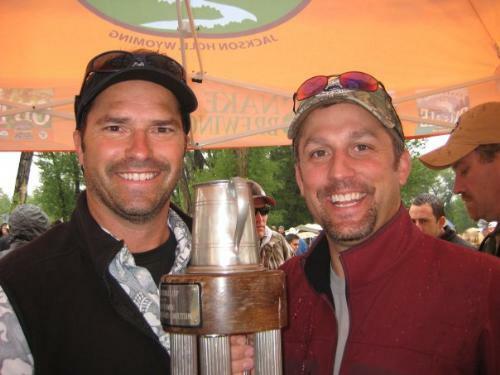 Kuhl and Seftick began an overnight camping and skiing trip one week ago, and were reported missing on Monday, April 18, when Kuhl failed to show up for work. 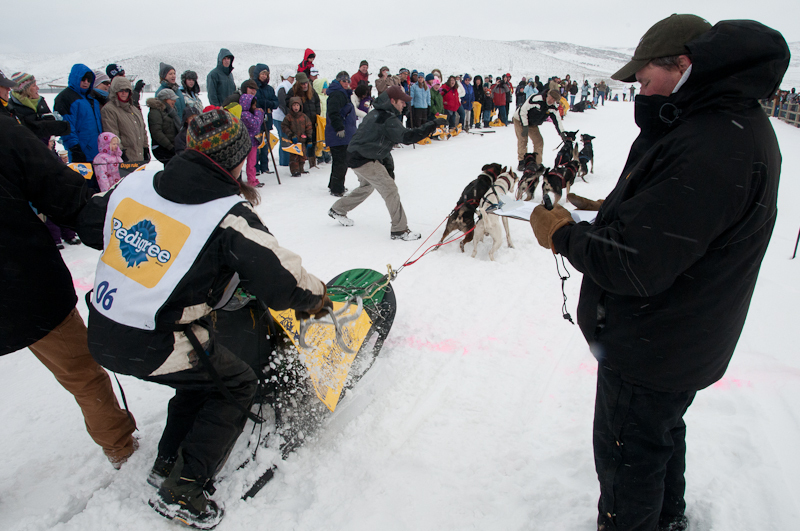 This marks the sixth day for a concentrated search to locate the missing skiers. A high pressure system brought sunny skies and calm winds this morning, creating perfect weather conditions to continue search operations. Four K9 search and rescue teams from nearby Grand Targhee Resort in Alta, Wyoming, and more than 35 search and rescue personnel were airlifted from a helispot on the Teton Park Road (elevation 6,685 feet) into a high elevation helispot in Garnet Canyon (9,500 feet) near the base of Nez Perce Peak to begin another full day of combing through a large avalanche debris field. A broad snowfield on the north face of Nez Perce gave way sometime after Friday, April 15, and the resulting avalanche path covers Garnet Canyon Meadows where it is presumed that the two men may be found. The avalanche debris field is approximately 200 feet wide, 200-300 yards long and 15 feet deep. Grand Teton National Park rangers again enlisted the assistance of trained rescue personnel and support staff from Teton County Search and Rescue, Teton Interagency Fire, Bridger-Teton National Forest, Yellowstone National Park, Jackson Hole Mountain Resort ski patrol, Wyoming K9 Search and Rescue, and Grand Targhee Resort ski patrol and K9 teams, as well as experienced professional mountaineers from Jackson Hole Mountain Guides and Exum Mountain Guides (two park concession companies) to provide the best possible and most complete exploration of snow-covered area where Kuhl and Seftick may be located. 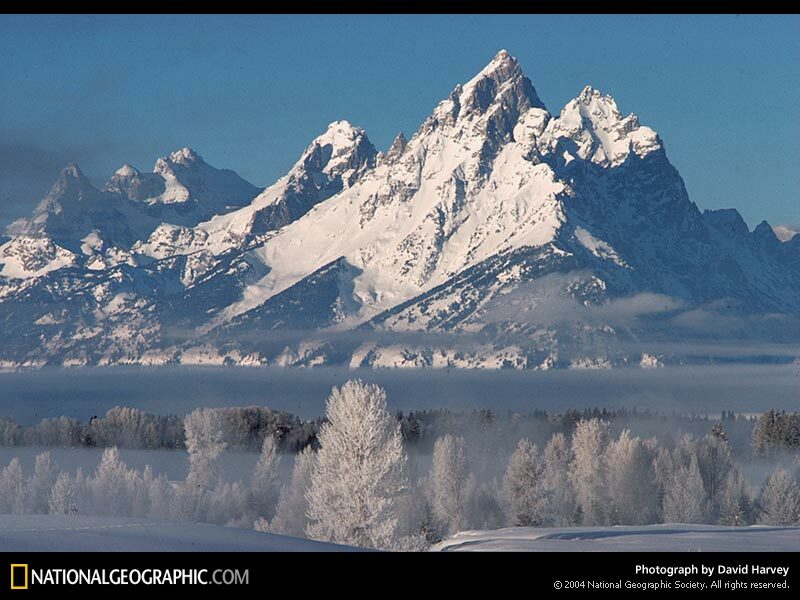 400 inches of snowfall per year. Further information about today’s search effort will be available after individual teams return to the incident command center near park headquarters at day’s end. 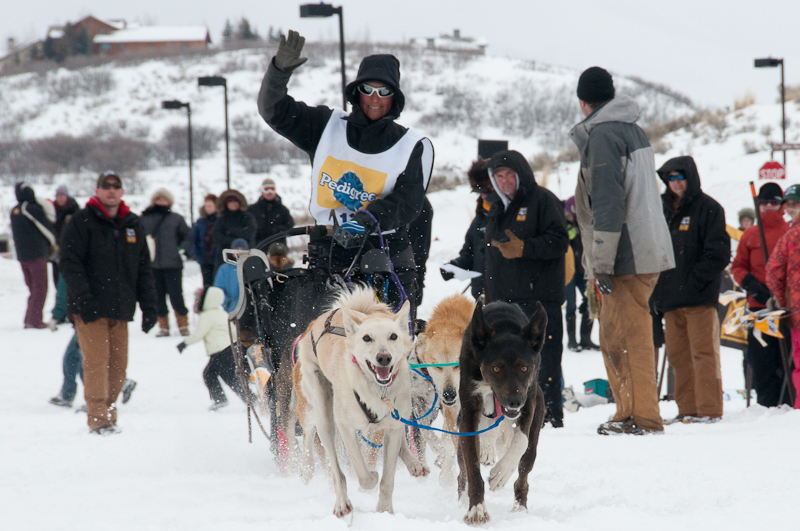 Visit http://gtnpnews.blogspot.com/2011/04/search-for-missing-skiers-enters-sixth.html for more information.